Suppose you live in a Homeowner’s Association (HoA) type of community and the HoA decides to assess each of the homeowner’s. These assessments can happen as a results of hurricane damage that affects the entire community, or even for non weather events like new roofs, property upgrades, or common maintenance. Most homeowner policies have $2000 of Loss Assessment Coverage. 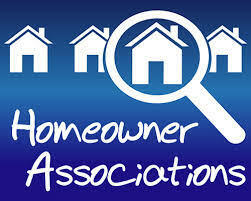 This means that your insurance company will pay up to $2000 for any HoA assessment. Good news, right? Well, the Loss Assessment coverage is also subject to your All Other Peril (AOP) deductible. Most AOP deductibles are $1000-$2500. So, let’s say you have $2000 Loss Assessment coverage and your HoA sends you an assessment for $2000. Let’s assume you have a $1000 AOP deductible. You can submit a claim and your insurance company will pay $1000.